It’s always a special treat when the first melons ripen! Cantaloupes in particular are so fragile & don’t ripen after they are picked, so the melons in stores are always picked prematurely. The only way to get that real ripe melon taste is to grow your own, or know a local farmer that you can go pick up ripe melons from! We are growing four varieties of melons this year. Two are cantaloupes, “Golden Gopher” & “Delicious 51” were developed for colder northern regions that have a shorter growing season, where you need a melon that ripens quickly. This makes them the earliest melons to ripen. Our watermelons are an “icebox” type, meaning they aren’t the giant southern varieties, but a smaller melon that will ripen even in colder regions. We are growing them in our hoop house to give them some added heat & they should be ripening within the next week or two. 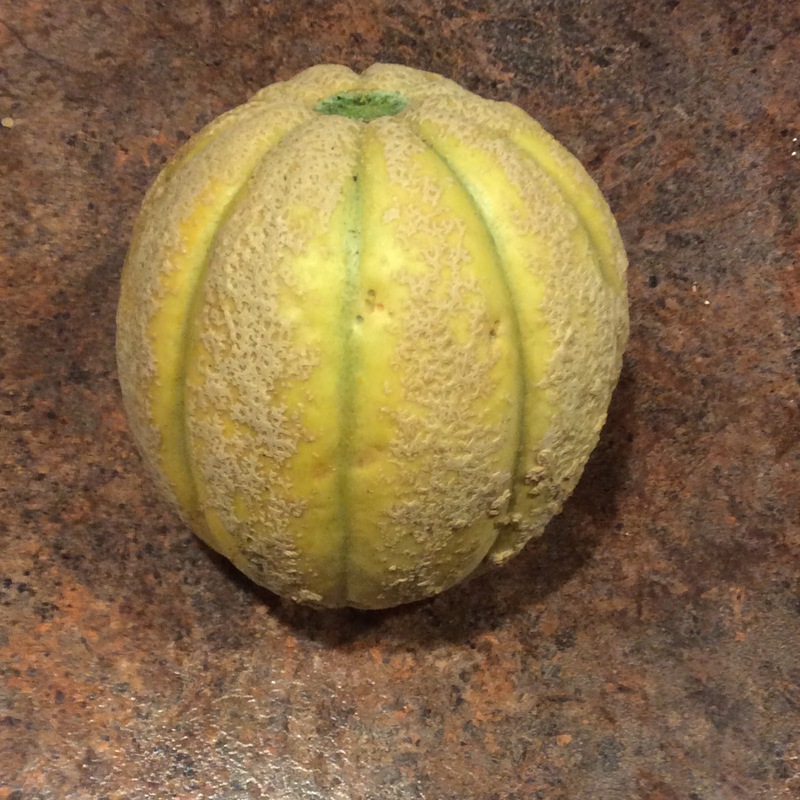 The final variety is a honeydew melon that was developed to grow in the hot dry climate of the Middle East. Even with our drought conditions this summer these melons have continued to thrive, but takes much longer to ripen, so we won’t see ripe “Arava” melons till next month. Melons represent some of the new & exciting bounty of fruits & veggies that start to roll in during the late summer & fall. Our CSA baskets & bags have been filling up more in recent weeks, & the value we are providing our members has also been growing. Melons also represent some of the unique values you can only get from buying fresh produce from local farmers. Supporting local organic farms often means supporting local economies, small scale producers that use land more efficiently & sustainably, & businesses or organizations that provide a greater value to the community around them. At 5 Loaves farm we provide the added value of beautifying our neighborhood – like building this cool “door-fence” at the farm with a volunteer missions group, or investing in our youth by giving them job opportunities & training in crucial job skills (see below our picture of the youth “graduating” from the work readiness program that was run by 716 Ministries & hosted by the Buffalo Vineyard Church). So thank you for your support & we hope you enjoy all the good things we are growing here!